Jump-starting this year’s postcrossing by going to the Post Office after the little man’s first day on his new playschool on Monday. 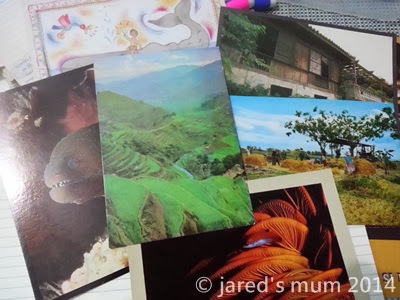 I have a few backlogs in my swap last year and am just relieved to finally be able to send every postcard that I have not been able to send last year. I do apologize to my swapmates that their cards are sent out a little bit late and I do hope they arrive in no time. I really look forward to swapping with more people this year and building up my collection. So while I read all about this Reid Supply leveling devices, I am alternately browsing these postcard images on Facebook for more potential swaps. Here’s wishing you all a great postcrossing year! 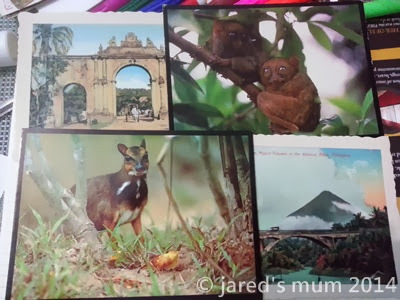 This entry was posted in postcards and tagged mailday, postcrossing on January 19, 2014 by Mum Travels.